Home › Blog › 2018 › Registration for the 2018 NYS SHRM Conference is now open. Registration for the 2018 NYS SHRM Conference is now open. This will secure your place at the conference and provide you first notice when the program has been finalized and you can select your breakout/concurrent sessions choices, guaranteeing that you get into the programs you want to attend. Educational sessions providing SHRM-CP, SHRM-SCP and HRCI recertification credits will begin early Sunday morning. We have a set number of rooms blocked oﬀ at the Albany Hilton and the Albany Renaissancestarting at $169-$179 per night. Call the Albany Hilton at 518-427-3038 and give them the code: 1NYSHR or click here to book online. 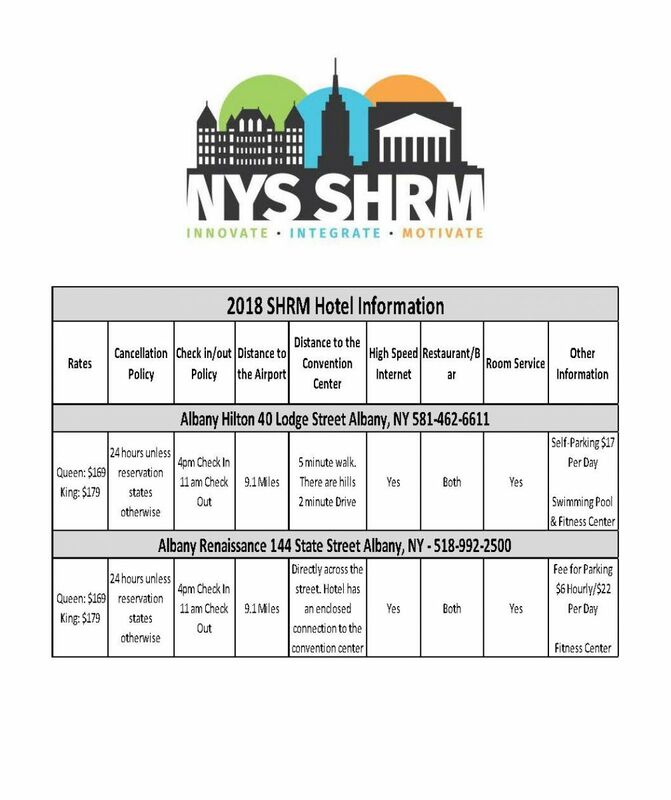 Call the Renaissance Albany at (518) 992-2500 and mention the NYS SHRM Annual Conference to receive the discounted rate or click here to book online. No matter how long you’ve been in HR or what position you hold at your company, this is the one conference you will not want to miss.